Too much salt or sugar in your diet and lead to a variety of health issues, including infertility. 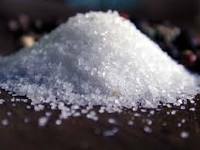 When it comes to male factor infertility, the thought was once that iodized salt could lead to lower sperm motility, but that is not necessarily the case. What we do know is that flavor-enhancing substances, even if they are natural, in excess can be harmful to overall health which will effect sperm quality down the line. For women, salt and sugar in excess can even be dangerous, not only during the conception phase, but during pregnancy and labor. If you or your partner suffer from heart disease, have a history of heart disease in the family or have active high blood pressure (HBP) then lowering salt intake, or cutting it out all together, can not only help you get your body in better shape, but you’ll have better functioning hormones, ultimately positively effecting fertility for both men and women. For women, even if you have normal blood pressure, if you are over the age of 30-35, the risk is higher for preeclampsia, so anything you can do to avoid it should be done now. Read more about preeclampsia here. If you are a woman and you have been trying to conceive (TTC) for over 6 months, and you are over the age of 35, your next step is to improve your health and see a Reproductive Endocrinologist (RE), a fertility doctor who specializes in fertility issues for couples. One of the most common health challenges women have when trying to get pregnant is ovulatory factor and PCOS, or polycystic ovarian syndrome. Read more about PCOS here. Reducing sugar in your diet is one of the first (and cheapest) ways you can begin to address ovulatory disfunction, especially if you have irregular or skipped cycles, cysts on your ovaries, adult acne, elevated BMI or hirsutism. Sugar is finally getting the boot it deserves when it comes to health and research, and there is no doubt now that it negatively contributes to infertility and a variety of health issues, including depression, anxiety, weight gain, gastrointestinal issues, skin problems, and a slew of other health conditions. If you or your partner have questions about conception or fertility, please call our fertility practice in Santa Monica, California. We are always happy to answer questions on one’s path to parenthood.